Consumers are demanding more information about the quality and safety of the food products they purchase, and technology can provide important solutions. By Kok-Yoong Chong, Global Technical Director for Food Health and Beauty Services, TÜV SÜD. In their ongoing quest for healthy, nutritious and safe food, consumers are increasingly seeking detailed information on the quality of the food that they eat. Most often, the information they seek is provided in the label that’s printed on the food packaging. But, even under the best circumstances, deciphering the meaning of information found on food labels and packaging can be difficult. 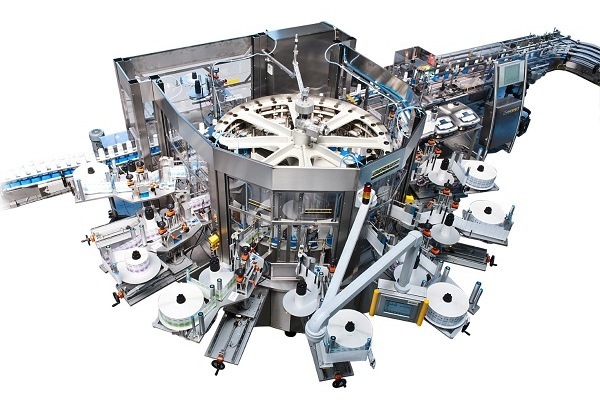 In this article, we’ll discuss the various types of labelling and other product information found on food products today, and how technology is helping to ease the information overload for consumers while advancing the mission of food safety. 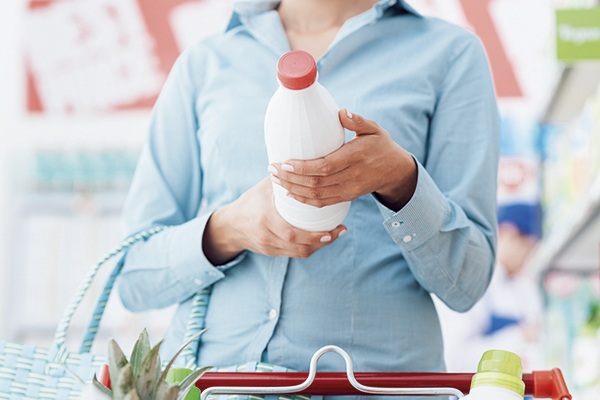 Today’s consumers are increasingly savvy about the food products that they buy, and routinely express several key concerns regarding their food choices. To start, consumers are now more mindful than ever about the critical link between the food that they eat and their overall health and well-being. As a result, they actively look for healthier food alternatives in which the nutritional advantages dominate, and which minimise or eliminate potentially unhealthy ingredients or additives. For example, food products with reduced fat or sugar content, or which eliminate partially hydrogenated oils (PHOs, a source of trans-fat), are growing in popularity, as are foods that are naturally rich in essential nutrients. Many consumers also see their food choices as an affirmation of the importance of global environmental and sustainability considerations. These values place increased importance on food products that originate from agricultural sources cultivated without the use of chemicals that are potentially harmful to the environment or that are not based on genetically-modified organisms (GMOs). 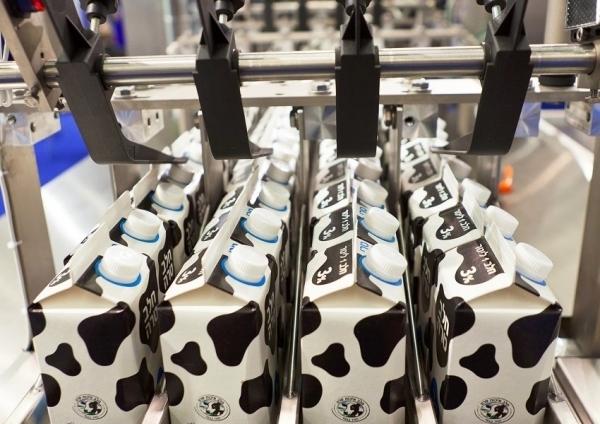 Considerations are also being given to the human resources used to produce food products, leading many consumers to seek assurances regarding compensation policies and workplace safety practices of producers and their suppliers. Finally, today’s extended food supply chain has increased consumer concerns regarding the safety of the food they purchase. Shipping and transportation technologies mean that producers can source food products and ingredients from wherever supplies are most abundant, reducing costs and giving consumers access to a wider array of food products. However, these advances also increase the risk of food contamination anywhere along the supply chain. Similarly, the extended supply chain also increases the potential for outright food fraud. A typical food product on the grocery store shelf is likely to feature a variety of information of potential interest to consumers. Some of the information is mandated under applicable government regulations or industry standards, while other information may be provided by the food manufacturer or producer to supplement required information, or to highlight certain characteristics or features of the product that may make it more attractive to buyers. • Nutritional information—The second most common food labelling is that which provides essential information on the food’s nutritional qualities. 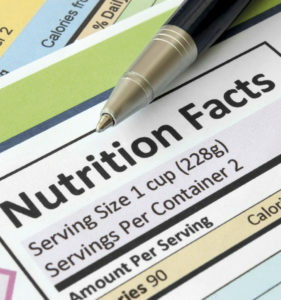 Nutritional labelling provides information on factors such as the number of servings in the package, the typical serving size and the estimated calories per serving. The nutrition label generally also includes information on amounts and/or percentages of vitamins, essential nutrients and other healthy ingredients such as dietary fibre, as well as less healthy ingredients that consumers may want to control, like fat, sodium and sugar. • Environmental and sustainability claims—Increasingly, foods bear a variety of claims related to environmental aspects of how the product was produced, or how key ingredients in the product were grown and harvested. The term “organic” may be one of the most widely-used environmental claims. More recently, terms such as “non-GMO” or “gluten-free” are being used more frequently to provide guidance to consumers who are seeking such products. Other environmental and sustainability claims such as “sustainably harvested” are also being used. • Other essential information—Other labelling typically found on food products includes information regarding a product’s anticipated shelf-life. 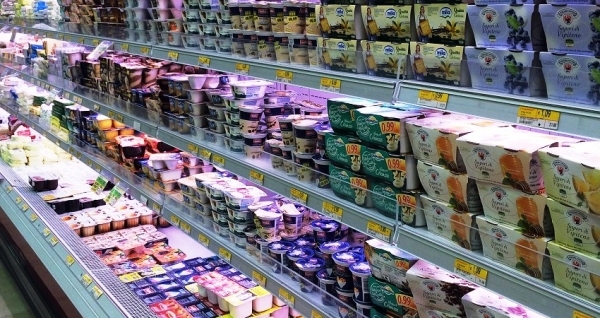 “Sell by” or “Best if used by” dates on food packaging can help consumers estimate how long a purchased product will remain safe to eat or how long it will retain its taste and other sensory qualities. Separately, information regarding the geographic origin of a product, such as “Country of Origin,” may be applicable to certain types of food products. 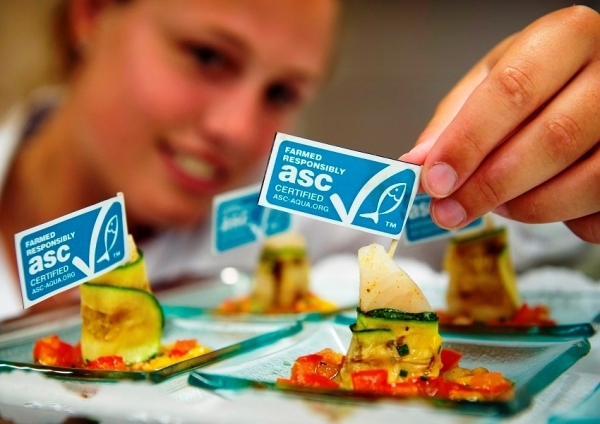 Fortunately, food producers are quickly adopting several recent technology developments that can help them comply with ever-changing food labelling requirements, while also reducing the effort required by consumers to obtain reliable information on the quality and safety of the food products they purchase. One of these technologies that has already been adopted by many food producers is based on the use of a QR (or quick response) code. 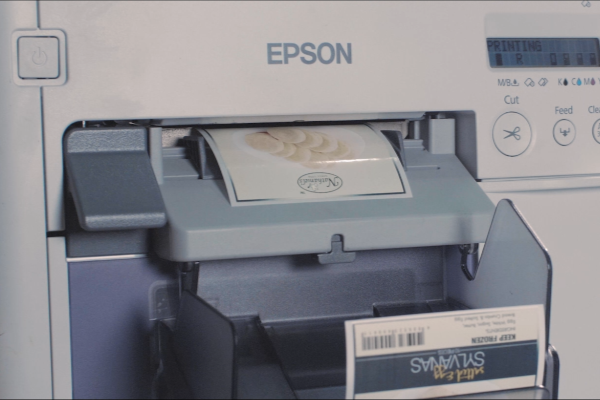 QR codes provide an efficient method to verify the validity of important product information, and to provide direct access to updated information, such as a food product recall. Due to their complex design and use of encryption technology, QR codes are also nearly impossible to alter or counterfeit, making them well-suited for applications requiring a high degree of security. A more recent emerging technology is blockchain. Blockchain is a sophisticated but secure form of digital records management that can be used to identify and track sequential activities in a variety of industries and applications. Blockchain uses databases distributed over an open network of computers to track individual “blocks” or activities in almost any type of process. These sequential blocks serve as a kind of notarised ledger of an entire activity, since individual blocks in a blockchain cannot be altered after the fact without altering all subsequent blocks in the chain. The application of blockchain technology to food product information provides several important benefits to consumers. For example, greater transparency regarding the source of food products could help to reduce the likelihood of food fraud, and minimise the potential safety risks for consumers exposed to fraudulent food products. And blockchain technology could also be used to more quickly identify and locate food lots subject to product recalls. These and other technological developments make it significantly easier for consumers to obtain detailed, up-to-date and verifiable information on the food products they purchase, and to receive timely alerts about food product recalls or other safety issues associated with those products. These technologies also facilitate consumers’ ability to thoroughly explore and evaluate product information on new or different food products, enabling them to make informed decisions about future food purchases in advance. As regulators and consumers seek access to more detailed information about the quality and safety of food products, the breadth of information required is not only greater than the available packaging space, but it also challenges most people’s ability to evaluate the product aspects that are most important to them, or to make reasonable, side-by-side comparisons of similar products. QR codes, blockchain and other advanced technologies can help consumers, producers and regulators manage the information overload and to identify food products that meet their needs and expectations, while also helping to improve overall food quality and safety around the globe.